Drinking water is susceptible to pollution by trace metals via both anthropogenic and natural processes. Heavy metals such as Cr, Mn, and Cu pose major health risks. Upon ingestion, trace metals are deposited in fatty tissues and in the circulatory system, and are not biodegradable. They can cause a variety of health issues including cancer, neurological disorders, and adverse affects to the endocrine system. To assess cancer risk factors the International Agency for Research on Cancer (IARC) created a classification system of the carcinogenic properties of chemical toxins and a model for the health risks of carcinogens and non-carcinogens. In previous studies these models were mostly utilized to analyze the quality of drinking water in urban and developed areas. More remote regions have largely been neglected. Potable water in remote areas is far from secure due to the lack of water regulation and monitoring. As a result of this, Geng et. al. (2015) conducted a study focused on analyzing trace elements in water and its carcinogenic and non-carcinogenic affects in two rural areas in China. The two remote areas of focus in China were the Tibetan and inner Mongolian regions of the Chinese frontier. The regions are located on plateaus and are at a high elevation. This holds some significance because they act as head-stream areas for many rivers in China. Water samples were collected from 48 residential houses in the two regions. Analysis for concentrations of 16 trace elements (Cr, Mn, Ni, Cu, Zn, As, Cd, Sb, Ba, Pb, Co, Be, V, Ti, Tl, Al) was conducted using inductively coupled plasma spectrometry. In general, the concentrations of trace elements did not exceed specified water quality standards. However, the concentrations were higher in these two regions than in other regions in China. The health risks of exposure for the four population groups—infants, teenagers, adults, and elderly—were assessed. The results show that for all age groups in both regions, the carcinogenic risks exceeded maximum recommended levels and the carcinogenic risks were far higher than the non-carcinogenic risks. Cr yielded the greatest carcinogenic risk in both regions. Infants were the most susceptible population for health risks from drinking water contaminated with heavy metals. Ultimately, the results of this study showed the need for improved water regulations in remote rural areas. Menghan Geng, Hongjuan Qi, Xuelin Liu, Bo Gao, Zhan Yang, Wei Lu, Rubao Sun. Occurrence and health risk assessment of selected metals in drinking water from two typical remote areas in China. Environmental Science Pollution Research. 1-8. 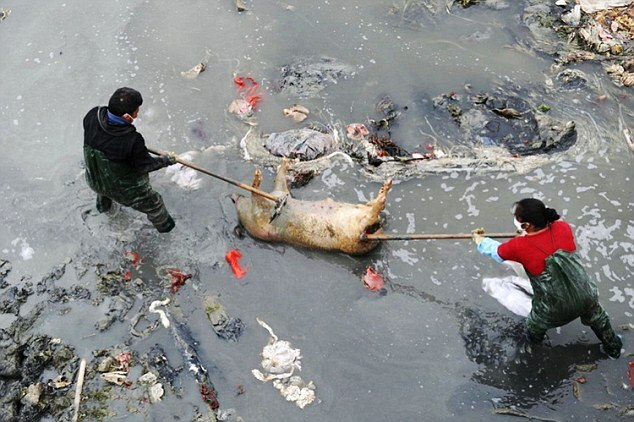 This entry was posted in Human Health, Toxic Substances, Water pollution and tagged Bo Gao, Carcinogens, China, Health impact, Hongjuan Qi, Menghan Geng, Non-Carcinogens, Remote areas, Rubao Sun, Trace elements, Water pollution, Wei Lu, Xuelin Liu, Zhan Yang by Emil Morhardt. Bookmark the permalink.